Xtreme Lashes is the preferred choice by celebrities and consumers all over the world, and they are the exclusive provider for celebrity events such as The Academy Awards, Golden Globes, Emmys, Cannes Film Festival and the Latin Grammys. The crème de la crème revolutionary Xtreme Lashes® lash extensions will provide you with longer, and thicker, luscious and natural looking eyelashes. Because the single faux mink eyelashes are applied to your own lashes one by one, it's a beautiful and natural look and a really light feel. And with regular re-lashing or eyelash fill maintenance every two to three weeks, you can have gorgeous lashes for a long time. The revolutionary Xtreme Lashes™ are considered the best eyelashes and lash extension products, and they are a leading brand worldwide, and because of their top quality products, and fabulous training it is a safe application, and their exclusive cosmetic retail products respect the Canadian health and safety standards. 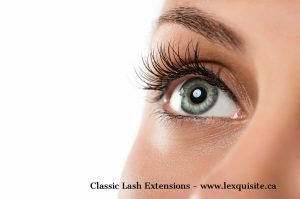 There are many different types of lashes on the market today from the popular mink eyelash extensions to silk extensions and many others, because eyelash extensions are all the rage to enhance and beautify your eyes. And because there are so many different types of eyelash adhesives on the market, you should know that some have fumes, and some don't, and some lash adhesives contain chemicals that are not good, and some are suited for sensitive eyes, the choices are endless. There are many different styles of permanent false eyelashes available, and they range from thick to thin and come in many different curls, and for the very daring glam seeking crowd you can get Russian Volume, and 2D or 3D lash extensions. That means several single lashes get applied to each natural lash for a really full and fanned-out look, and to take it a step further, there are also many different colours of eyelash extensions available, as well as eyelash crystals. But the Classic look is generally speaking the trendiest look preferred by most people. Here at L'Exquisite it is a very relaxing and enjoyable process that will take 90 minutes. You lie down on a comfortable facial bed with the massager on or off, an the eyelash technician assesses your natural lashes and decides what thickness, and length and curl combination is right for you based on your desired look. 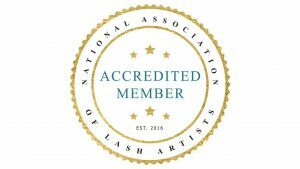 Then the right lash extensions will be chosen for each client, and this is important because we have to make sure that your natural lashes don't get damaged. Then you close your eyes and listen to calming spa music in a private setting while the lash extensions get attached to your natural lashes. P.S. If your natural lashes are short and fine, applying long or thick lash extensions may cause damage to your natural lashes because they cannot handle the extra weight. Because time is important, please remove all your eye makeup and foundation, and eyeliner, and eye shadow and all mascara and mascara residue before you come in, and shower and wash your hair before you arrive, because you cannot get your lash extensions wet for the first 24 hours. Do not wear contact lenses, instead wear your glasses to your appointment, and do not curl your lashes on the day of your lash application. Because you need to allow time for the lash extensions to bond properly, it is best not to use a heavy moisturizer, or lotion or oil around your eyes for 24 hours before your appointment, and no lash tint, lash lift or lash perm 48 hours prior to your appointment. If for some reason you have had lashes removed from a previous non extreme eyelashes application, wait 48 hours after lash extension removal befor having your new set of Xtreme Lashes® applied. Ask your doctor if you are pregnant, or take medication, or suffer from any medical conditions or allergies, or if you are recovering from any medical procedures if it's safe for you to get lash extensions done before you book your lash extension appointment. Basic makeup application and normal lifestyle can be resumed after 24 hours. Avoid long exposure to steam and excessive heat, and doo not go for Airbrush tanning. Be gentle with your eyes. Do not rub your eyes, or pull or pick on your lashes, and do not wear waterproof eyeliner or mascara. Avoid using mechanical or heated eyelash curlers, and void using an eyelash sealer or mascara if your eyelash extensions were applied using the Volumation® technique as this may cause clumping and/or loss of volume. No chemical eyelash treatments such as eyelash tinting or perming should be done before your lash extensions, and please avoid using non-Xtreme LashesⓇ cosmetics that may come in contact with your eyelashes and weaken the adhesive. 24 hours after your lash application cleanse your lashes and eyelids daily with an oil free cleanser to remove your makeup and to maintain healthy and beautiful lashes and follicles, and do not oversaturate them. Because you should only use an oil-free makeup remover and facial cleanser, we recommend the Xtreme Lashes Eye Makeup Remover & Facial Cleanser, because it's a soothing oil-free aloe vera juice-based formula with six botanical extracts to nourish lashes, and brows, and skin, and it's easy to use with the lint free tip applicators. Brush your lashes every day with a clean mascara wand and use lint-free applicators to cleanse your eyelash extensions, and keep sauna, and steam rooms and tanning bed visits to a minimum, because constant heat and moisture will weaken the adhesive bond. Keep all oil based products away from your lashes and avoid using waterproof cosmetic products on or near your eyelashes. Although mascara in not necessary, Xtreme Lashes® Mascaras can be used on the tips only, to achieve an even, more dramatic look, and apply it to your lower lashes as well. Inform your aesthetician before having a chemical peel, or a facial or any other skin resurfacing procedure that you are wearing eyelash extensions to make sure she/he is very careful around that area not to damage your lashes. If your natural lashes are weak or damaged it is a good idea to give your own lashes a break every few months and use the Amplifeye eye lash serum/brow growth serum daily to nurture your lashes and encourage new eyelash growth. This is very helpful because our lashes naturally grow in three stages, just like your hair. Because your old natural lashes do fall out regularly, so will the lash extensions that is attached to that lash. Losing your lash extensions also depends on your lifestyle and the care you give your lash extensions. The prices vary from salon to salon and usually depend on how many lash extensions get applied to each eye and so on, but we have one price for the extreme lash extension service. You are not a good candidate for eyelash extensions if you have weak or damaged lashes, or if you are allergic to nail polish, or if you had recent eye surgery, or if you have an eye infection. And if you take medication that causes a hormone imbalance because it can cause your natural eyelashes to be thin or fall out. P.S. We do not offer Russian Volume lash extensions, coloured lash extensions or lash crystals applications at this point.